With Valentine’s Day just around the corner, I thought I’d share a little bit of my past dating wisdom with you gorgeous single ladies out there. I’m no dating expert, but I’ve certainly been on a fair share of them before I met the love of my life :). Actually, funny enough, my first date with Kyle was probably the most embarrassing of all. My jeans literally ripped in half at my rear end just as I was stepping into a cab with him. Instead of fretting over it, we just laughed it off and continued our night out (though we did stop to get me a new pair of jeans). For the worriers of the world, there are many ways in which a date can go wrong. You could hide on the couch and watch a Gossip Girl box set – sad face. Or you could get a handle on these worst case scenarios and reverse engineer them to avoid problems, and make a magical night happen! As I always say, good luck and have fun! It’s never acceptable, no matter how many dates you’ve been on recently, or how full up your smart phone is with names. Avoidance tactic: Burn his name into your mind beforehand by repeating it to yourself several times. 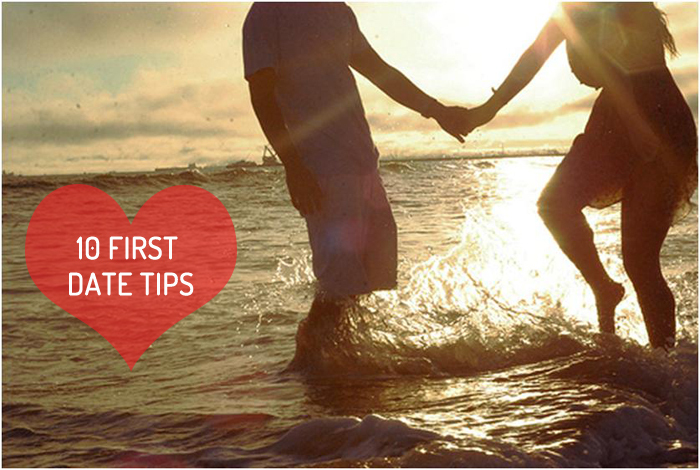 There is one school of thought that the male should always pay on the first date. Despite if you agree with this or not, don’t assume this is the case and forget your wallet at home. Actually, better yet, don’t pretend you forgot your wallet at home. I find that guys find a girl most attractive when they can take care of themselves. Avoidance tactic: Do your purse spot check before you leave the house, and why not surprise him a little and offer to treat him for the date instead (of course only if the date is going well)! Did you hear that rumble? You sure don’t want your tummy to be doing the talking for you during date night! Avoidance tactic: Make sure you have a balanced meal the day of to avoid over hunger causing rumblings in your tummy which more often than not results in a bad mood. Messy and greasy hair is such a turn off no matter how great looking and smelling you are. Avoidance tactic: Treat your hair to a beautiful wash the night before and toss your hair with loose curls the day of. This sort of nonsense happens with royalty, sporting professionals and celebrities, and it can happen on a date too. Avoidance tactic: Make your intentions known right away. Either stride up to your date with an enormous pair of fish lips, ready to plant one on them or likely better to give a gentle, friendly hug to start with. This is where your date has stretched the truth about their body shape, age or perhaps even used someone else’s pictures. Alas, you don’t recognize him, and he need to approach you. Avoidance tactic: After you have picked your chin up off the floor, you will probably want to leave. Easy on the first date. Though you’re out to have a great time, stay classy ladies! Avoidance tactic: Don’t combine rich food with strong spirits or liqueurs. Stick to one type of drink for the whole evening and try to have a couple less than usual. Slightly drunk and on the way home from a date, you send a sly text to your friend with an honest assessment of the person in question. It’s an unadulterated, no-holds barred statement. Instead of sending it to your friend, you send it to your date! Avoidance tactic: Sadly, you can’t unsend the text. We’ve all made the mistake of sending the wrong text. Why not ring up your BFF instead and do a recap? You could wear one of those adult-sized bibs they give out at BBQ ribs places. Or just accept that you can’t control everything, including where food happens to land. Avoidance tactic: Fine motor skills are an art-form mastered by some and practiced tenuously by the rest of us. Perhaps don’t order the spaghetti. But definitely don’t avoid eating! No one likes to hear about the ex this and the ex that, regardless of how long ago it’s been. Avoidance tactic: My advice, just leave the ex at home, find something new and interesting to talk about. Whatever you plan to do this Valentine’s Day or whether you’ve got a great first date coming up, I hope you’ll enjoy it! If you don’t, at least have a good laugh about it? Disclaimer: This post is brought to you by eHarmony Canada. This ever-popular relationship matchmaking service uses a Compatibility Matching System™ to help singles find people who they click with. Thousands of people are venturing out on first dates with people they met on eHarmony and we know what makes a good (and bad) first date.